CRG Nation, this Saturday’s 2015 home season finale has a bittersweet note to it. 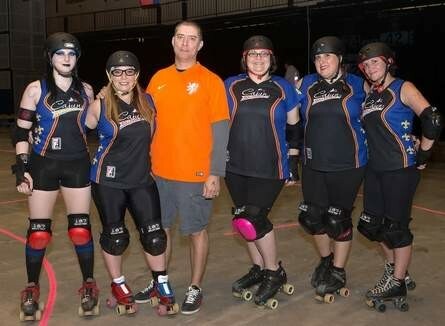 While it is our last game at Big Warren in 2015, it will also be the final home game for five of our veteran skaters – Delirium Trigger, Psycho Beast, Talk O’Holic, C’Aja Pain and Bust-Her Ballz – as well as our head coach Dutch and some of our outstanding volunteers. The Houma Courier & Daily Comet ran a very nice article in last weekend’s paper about someof these coming changes. While we are …very sad to be losing such wonderful people who have helped CRG develop into the organization it is today, we know these decisions come with their best interests in mind. We applaud and thank them eternally for everything they have done for our league, and we wish them the best in their future endeavors. Come out to Big Warren this Saturday night to cheer these wonderful members of the CRG family on and to help send them off in style! CRG to host GCRG’s Lafitte’s Ladies on Sept. 19 in 2015 Home Season Finale	Last BOUT DAY at Big Warren in 2015 TONIGHT!